With 2009 coming to a close and 2010 starting up, I thought this might be a good opportunity to reflect on the wonderful healthy dishes of 2009. The majority of New Year’s resolutions usually deal with losing weight or achieving a healthy lifestyle. 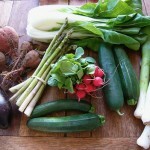 The main factor for both is to cook and eat healthy, wholesome food with great nutritional value. I’ve been fortunate enough to help portray this through The Ajnabee and teach readers delicious, nutritionally sound recipes. I always tell people, do not wait for a specific date to start a healthy lifestyle, rather start this very moment. Just because you had two donuts for breakfast does not mean you need to blow off your whole day. Having a balanced lunch is much better than eating a chicken parm for lunch! 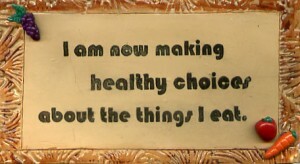 People do not realize how much power they have to control their eating habits. It’s time to take charge of your life and start eating healthy NOW. Yes, put down that donut and have a bowl of whole grain cereal or oatmeal. Plan your breakfasts, lunches and dinners out for the week! Restock your pantry with healthy snacks and make sure to buy lots of fruits and veggies to nosh on. Make this the year that you experiment with new flavors in marinades, such as my Balsamic Masala Chicken. Allow your palate to explore more exotic flavors and go ahead and make my Tamarind Tilapia. 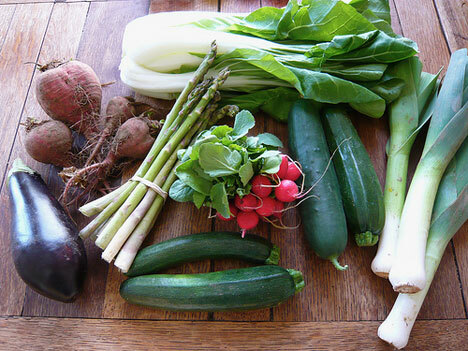 Work on getting adequate fiber in your diet and remember that men should aim for 35 grams per day and women 30 grams. My Channa Masala recipe can help you with this or you can try my Smokey Small White Bean Stew. Satisfy a sweet tooth in a healthy way by making my healthy Apple Pie or my delicious Carrot Pudding. Create a healthy side dish for you and your family by making my healthy Butternut Squash Gratin. You will realize that you do not need to eat bland food to eat healthy! With this said, ring in the New Year and make a promise to yourself to eat the best you can every day! 2010 will bring new recipes to The Ajnabee that will help you achieve your healthy lifestyle goals. Happy New Year!!! This entry was posted on Wednesday, December 30th, 2009 at 7:49 am and is filed under Uncategorized. Mmm…white bean stew sounds yummy. 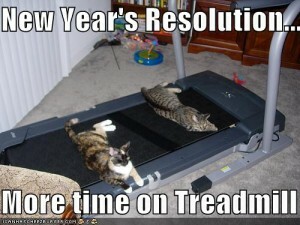 And I love the treadmill picture! Happy New Year, Nina.